Post sponsored by Keurig Dr Pepper. All thoughts and opinions are my own. Must be 21 or older to consume alcohol. Please drink responsibly. Thank you for supporting sponsors who keep A Bubbly Life up and running! 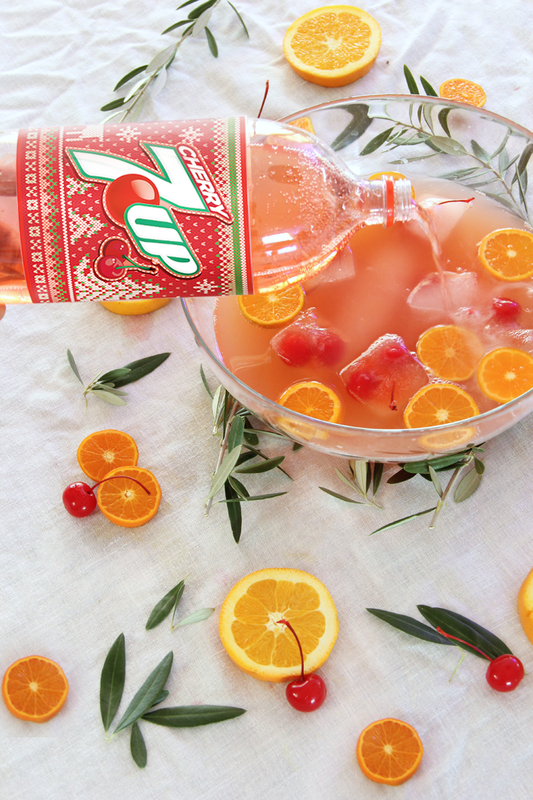 7UP® and Canada Dry® Ginger Ale have a couple colorful beverages that look so pretty for the holiday table and help kick start a festive party theme. 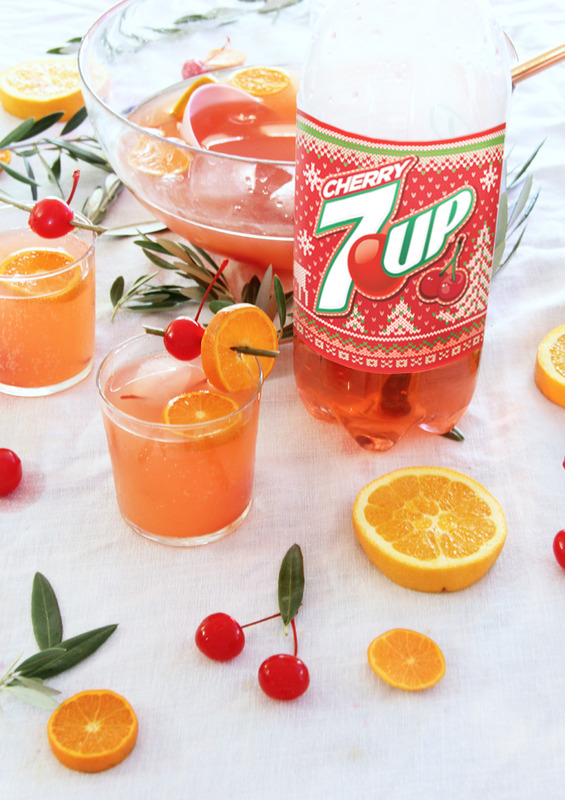 Cherry 7UP & Cranberry Ginger Canada Dry make the perfect party punch. 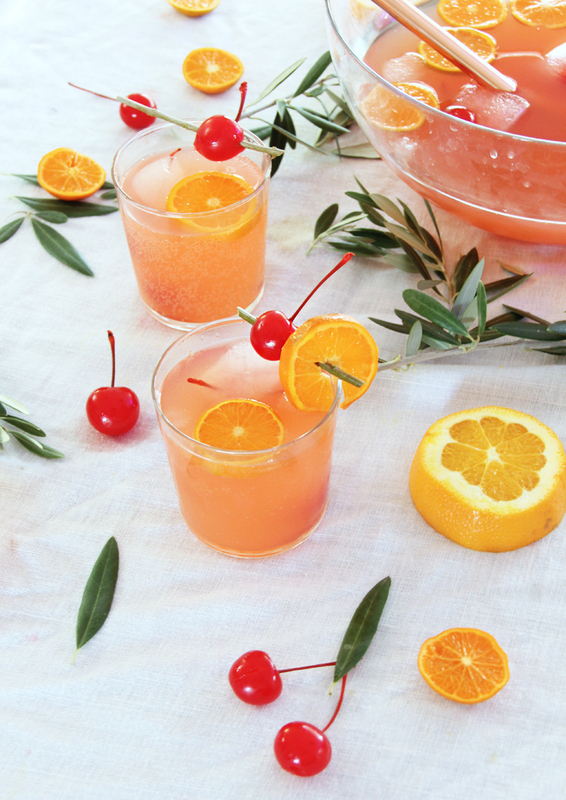 I love making punch recipes for a party—one large batch and your work is done! Then you can enjoy, entertain and mingle with your guests. I picked up all the goodies for the cocktail from Target. I love that Target has everything I need for parties (food, beverages, napkins, etc…) and if I come home with a new pillow, side table, planter as well… all the better. Save on Canada Dry and 7UP with Cartwheel, now in the Target app. 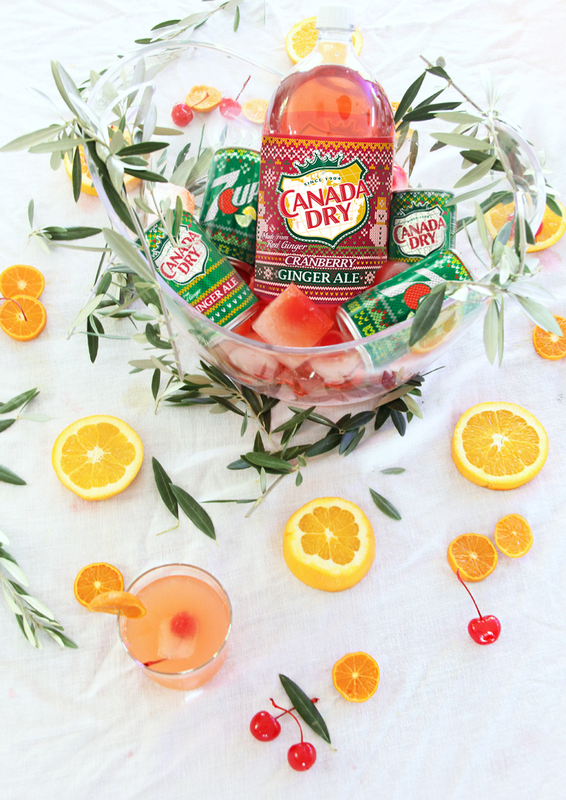 If someone does not like the punch, it is easy to provide alternatives by filling a beverage tub with some mixers (here I have mini cans of 7UP & Canada Dry) and alcohol. 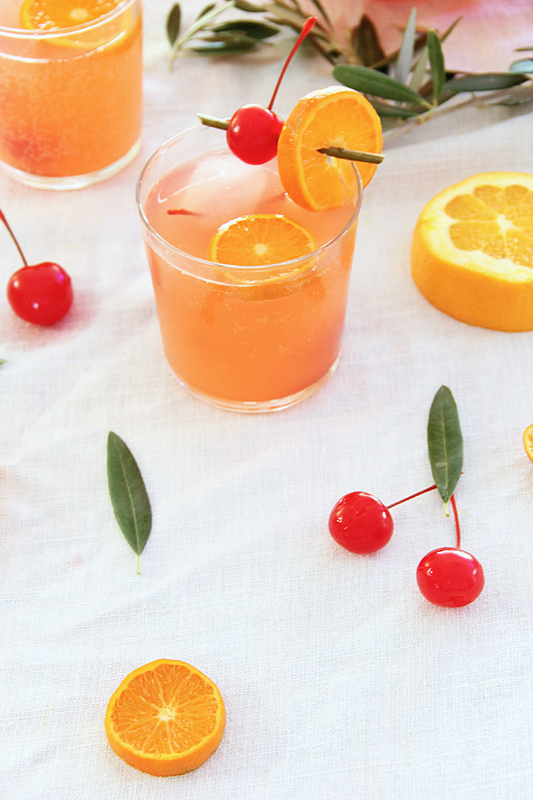 People can mix their own drinks IF they do not like the punch (which they will 😉 ) or if they want a non-alcoholic beverage. 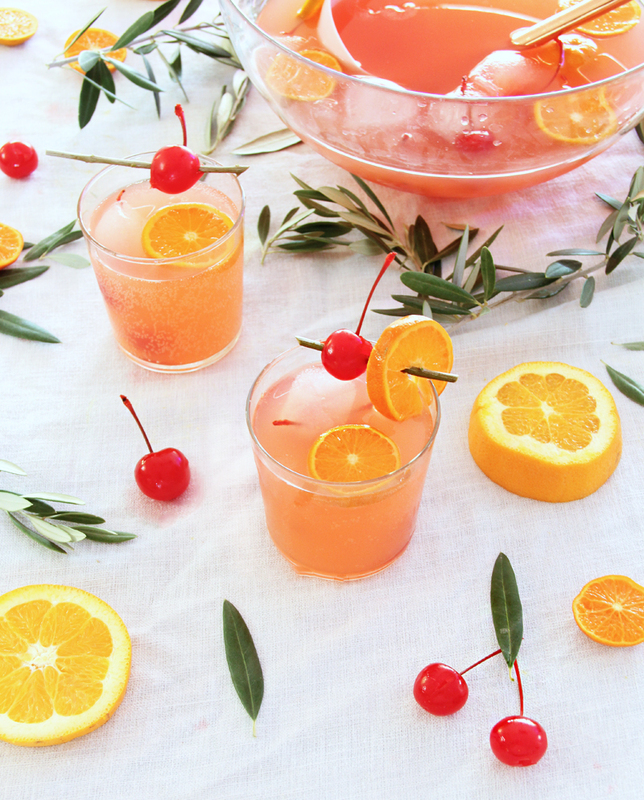 I made some mini cherry ice cubes for the drinks and to fill the beverage bin. The pop of red is so pretty for the holidays. 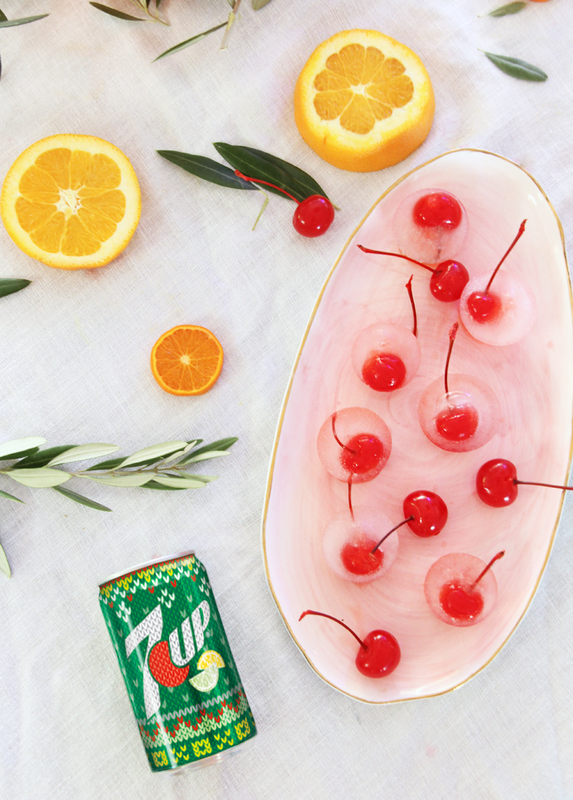 And when the ice cube melts in your drink, it adds a touch of sweet cherry flavor. For the table setting, I also added some greenery. 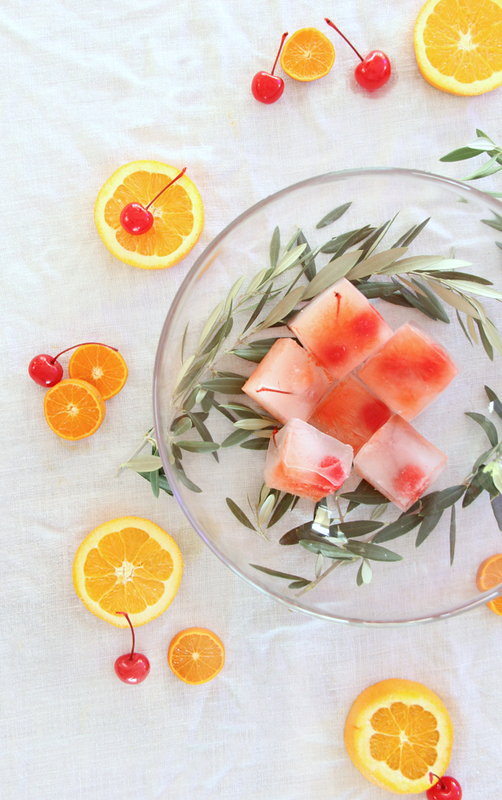 I used olive branches but you can use tree clippings, pine boughs, eucalyptus, etc… I love the green with the red/pink beverage, and it is an easy way to decorate! 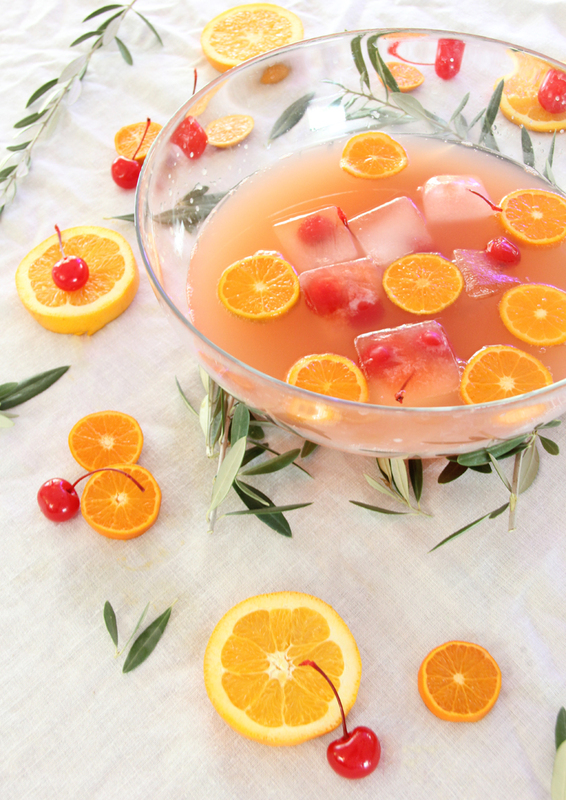 I also put some of the greenery under the glass bowl so you can see it when you are filling your punch drink. « Gift Guide: The Kiddos!